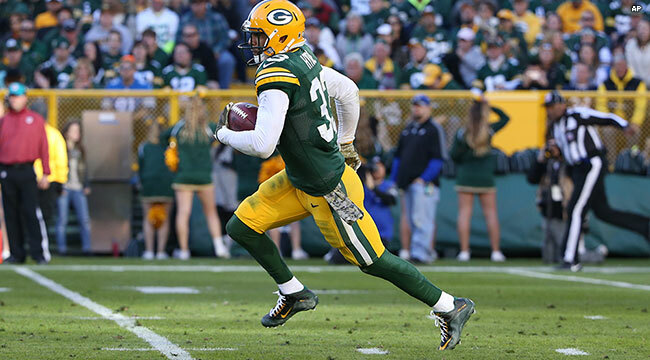 GREEN BAY — For the Packers, Micah Hyde on punt returns and Jeff Janis on kickoff returns have shown they can be dangerous in open space. For the Vikings this season, Cordarrelle Patterson has returned two kickoffs for touchdowns and Marcus Sherels has a 65-yard punt return for a TD. With cold weather on tap for Sunday night at Lambeau Field, special teams and the return game could be a major factor in who wins the NFC North. Both teams have strong-legged kickers in Mason Crosby and Blair Walsh, and experienced punters in Tim Masthay and Jeff Locke. Minnesota is coming off a cold-weather game at home last week, while the Packers will be playing in by far their coldest game of the season, with temperatures expected in the teens. On the injury front, McCarthy said CB Sam Shields is on the “back end” of the concussion protocol, while offensive tackles David Bakhtiari (ankle) and Bryan Bulaga (ankle) are making progress. “I think with Bryan, Sam and even David, we probably won’t know until the end of the week,” McCarthy said. He added that defensive lineman B.J. Raji remains in the concussion protocol.